You are the 195487 person to visit. Welcome to this anime page. There are pics here that I have gathered from all over the web. And some that have been sent to me, via email, and by my IRC friends. If you have any problems with any pic here, please email me. I will remove any pic that you prove exclusivly copywrited by some other page. I freely admit that there may be fan art on my page, but I do not display any fan art that does not have the artist's name on it, or that has not been sent to me by the artist themself. If you have any pics that you would like to add to this page email them to me, or look for me on ICQ. Nickname Guyver4, I am the second number, the one that begins with a 4. If you have an anime page that you would like me to link to, please email me (note: this page must be your own). Again, all pics on this page are copywrited by whoever holds the copywrites to them. This page isn't here to make me money, or anything; just to display some great pics, and tell about some really good animes. If you have a problem with any pics that are here or think that you have something to add, feel free to email me. And, to anyone that DOES hold the copywrites to anything here, just think of my page as free advertisement. Always working so watch for falling HTML's. WARNING: This page is undergoing a complete reworking, due to the fact that I am moving everything from all of my other pages here. 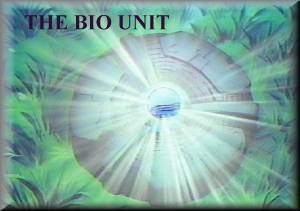 The Guyver4 Fanfiction will be uploaded and updated to this page very shortly. Thank you. The Anubis Archive Zelgadis, All Zel, All the Time!